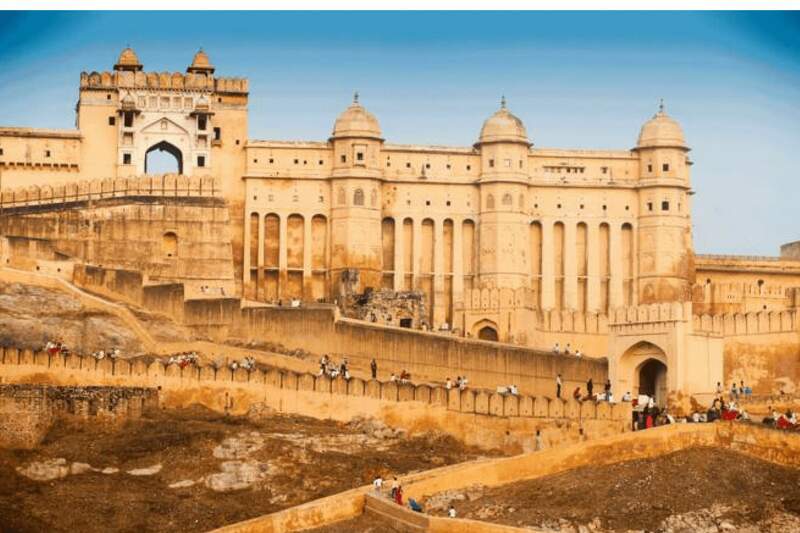 Imagine soaking up the culture, history, architecture and unique human diversity of India…. 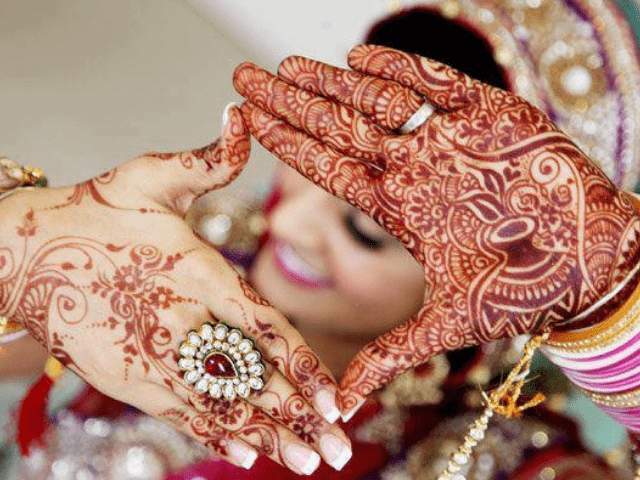 A journey through India’s traditional perfumes & aroma’s to tantalize and awaken your senses!!! A magical land filled with exotic foods, divine country side, bright bold colours, incredible folk art, lush green tea plantations, ambling through back alley lane ways perusing shops and bazaar’s, inhaling divine aroma’s from the largest spice market in Asia…..cinnamon, cardamom, clove, turmeric, abundant piles of fresh nuts, bright orange marigolds…this is the Ultimate tour to experience if you are wanting to visit India in Style.ia in Style. PLUS!!! We will be visiting the oldest Perfume city in India – Kannauj where you can experience essential oils and attars that are not available in Australia…AND BUY THEM!!! 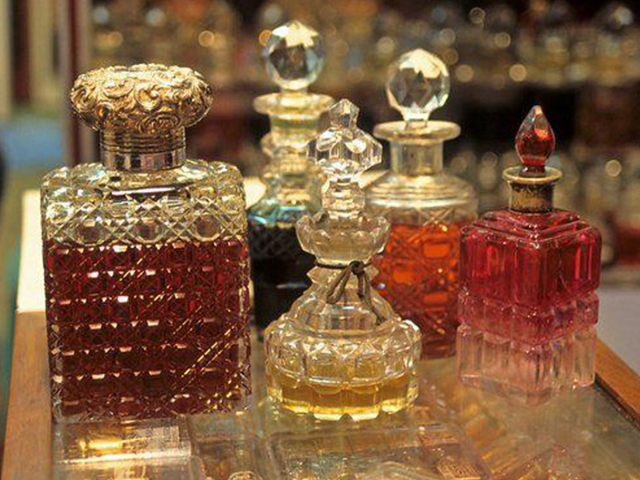 With my guidance YOU will create your own beautifully exquisite bespoke perfume from the oils you have purchased! We will visit to a 200 year old Ittar shop in Dariba Kalan in Chandni Chowk where we will learn about their oldest essential oils and ittars. Enjoy a fun Bollywood dance lesson. Visit the Sheroes Hangout café. The stop acid attacks campaign was flagged on 8th March 2018 to stand for acid attack survivors and against acid attacks in India. The concept of this café was to act as a bridge between the survivors and society over a cup of coffee. Traditional Indian Cooking lesson – the fragrances and taste of food will seduce the most experienced gourmet travellers. 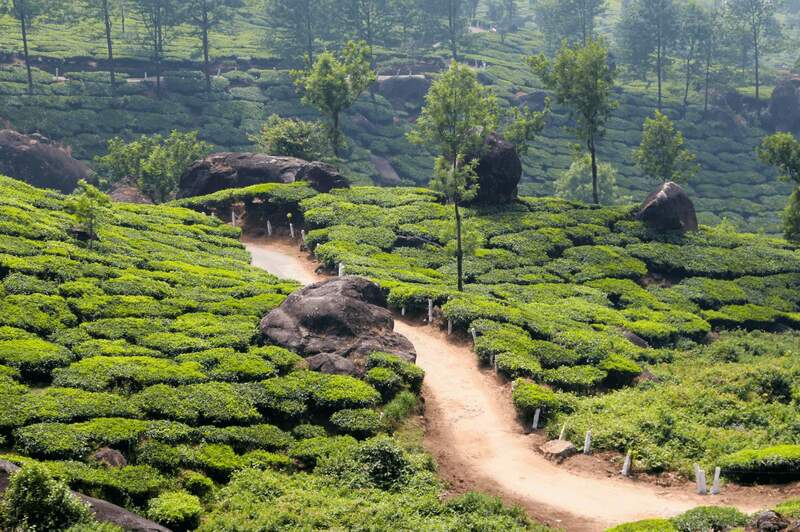 Enjoy a Tea tasting session and High tea at a tea plantation in Munnar. Design a piece of clothing for yourself – For the more ambitious, you have the opportunity to create your own designer block print garment – choosing colours, patterns and styles and, under the watchful eye of a master printer, printing the fabric. Later the fabric will be tailored into a preferred garment of your choice and delivered to you at our hotel. Visit the Astronomical Observatory built in 1726 by the Maharaja of Jaipur. Sound like this is for you? Numbers are limited to 14 people. Reena Tory, CEO of Mantra Wild Adventures & Julie Nelson, Botanical Perfumer will be taking you on this once in a lifetime journey. 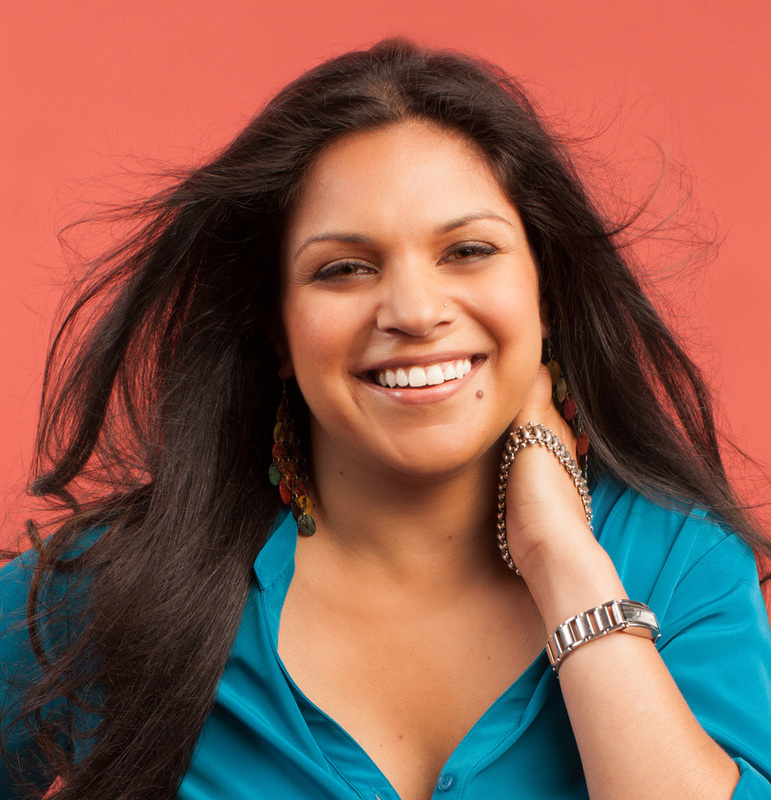 Reena Tory is a passionate soul seeking traveller, conservationist and the founder of Mantra Wild Adventures. Mantra Wild Adventures is a boutique travel company specialising in personally crafted private and escorted group journey’s that peel back the layers of India. Mantra Wild’s Motto is “Travel on Purpose” and Reena’s aim for her clients is that their lives are changed forever from their India experience. Reena has a love for Indian wildlife, especially the Royal Bengal Tiger! Reena has a Degree in Science specialising in Zoology and further studies in wildlife management with communities that involves them in the process. After witnessing the aftermath of a rhino poaching, she set up her company Mantra Wild Adventures – a unique way to show her India to the world, while positively impacting the communities, people and environment in India. Julie Nelson is an artisan botanical perfumer and aromatherapist of 23 years. Julie’s passion is crafting bespoke perfumes designed to hold the essence of the wearer creating one of a kind signature scents that can be used with intention. She has long desired to experience first hand the divine Scents of India, to capture the essence and richness of this ancient land and culture, and express it through a perfume she has designed and crafted. 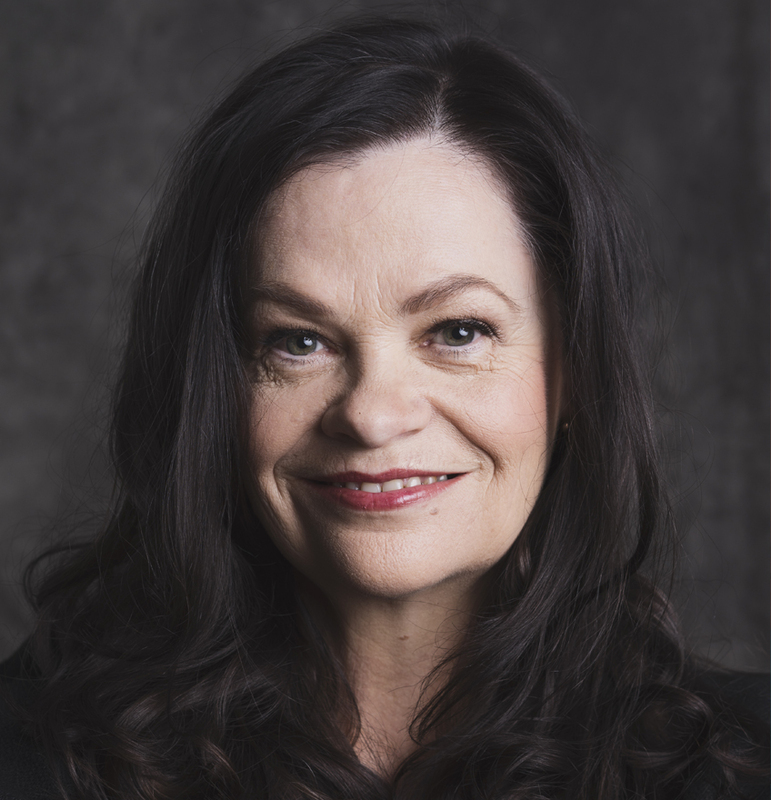 Due to her innate nurturing essence Julie has the gift of being able to hold sacred space for women and support them on their own journey and processes. Her personal mission is to work with women supporting them in living their divine reality by tapping in to the power of botanical scents ,the Moon, Intention and ritual to create a more empowered, abundant, successful, joyful and fulfilled life for themselves. 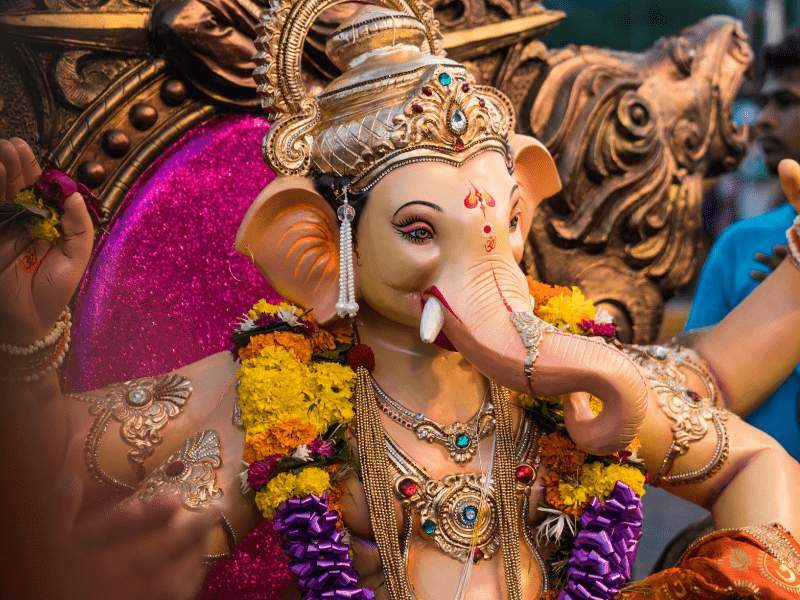 Your sacred journey starts in Delhi, India’s capital and largest city. Soak up richness of this culture, history, architecture and unique human diversity of Delhi, one of the world’s greatest cities. 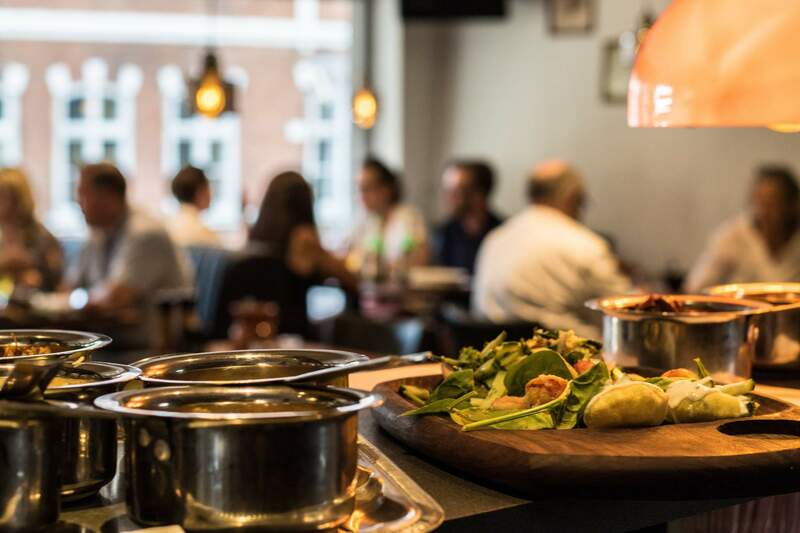 The fragrances and taste of the food will seduce even the most experienced gourmet travellers. On Arrival you will be met by our representatives and welcomed with beautiful garland then taken to the elegant Claridges hotel. After breakfast we will enjoy a full day tour of Old and New Delhi. Today is a day of exploration! We experience the fascinating and living legacy of the Indo-Islamic culture and lifestyle in Old Delhi with a local expert. Relish roaming through the busy, narrow streets of the mile-long Chandni Chowk, popularly called “The Silver Street”, as we are surrounded by shops and bazaars. 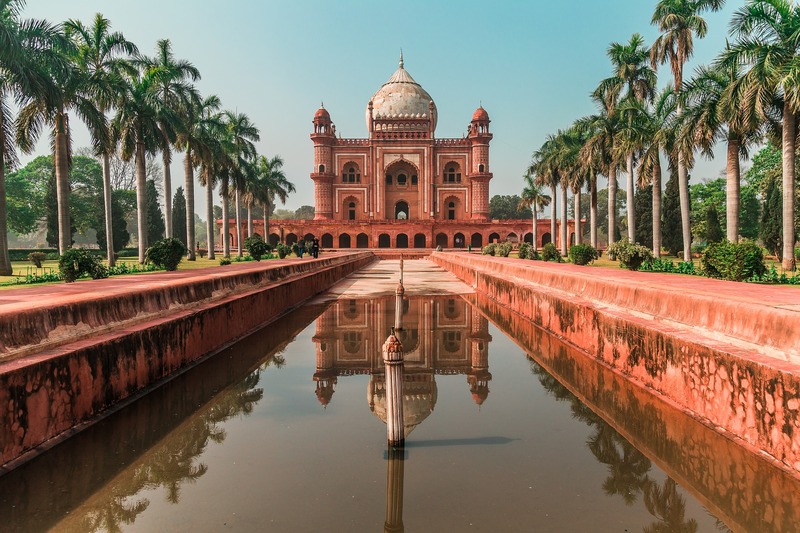 We then visit the largest mosque of Old Delhi which can accommodate 20,000 people at one time – Jama Masjid with its tapering minarets and magnificent marble domes. 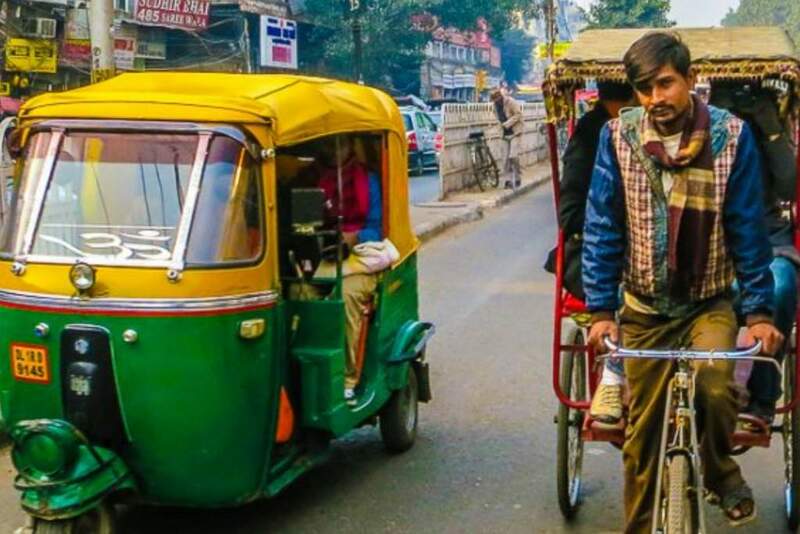 You may also take the opportunity to experience a rickshaw ride, how fun! We visit to a 200 year old Ittar shop in Dariba Kalan in Chandni Chowk and have them show us and, tell us about their oldest essential oils and ittars. This is one of my personal highlights of course! Later in the afternoon, we will drive past the magnificent Parliament Building and the Rashtrapati Bhawan (the official residence of the President of India set in 330 acres of land (designed by Sir Edwin Lutyens). Plus we will see the Gateway of India in New Delhi. We end todays tour at Humayun’s Tomb, built in the 16th century which is architecturally considered the forerunner of the Taj Mahal. You may also like to visit the Sikh temple and witness the largest community kitchen serving free food to thousands of devotees. Then tantilise our taste buds with dinner at Dhaba Restaurant. After a leisurely breakfast, we check out and drive to Agra. 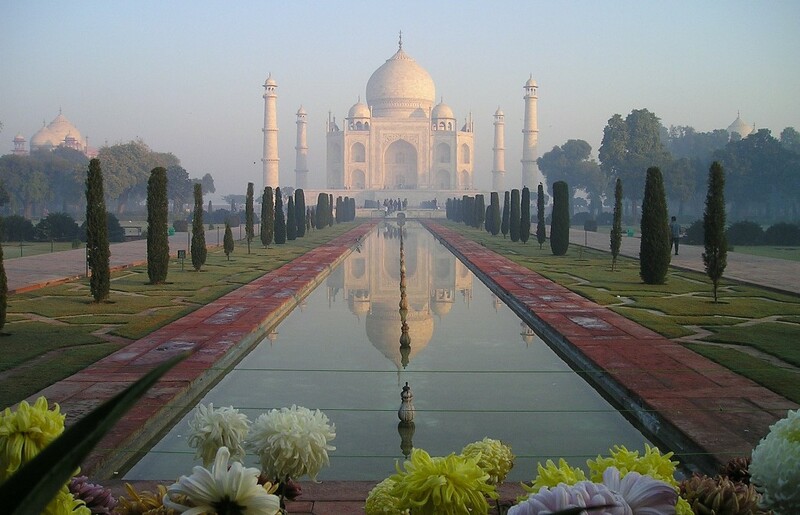 Agra is globally renowned as the city of the Taj Mahal. However this royal Mughal city has, in addition to the legendary Taj, many monuments that epitomise the high point of Mughal architecture. In the Mughal period, in the 16th and 17th centuries, Agra was the capital of India. It was here that the founder of the dynasty, Babar, laid out the first formal Persian garden on the banks of the river Yamuna. Today we visit the Elephant Conservation and Care Center in Mathur. 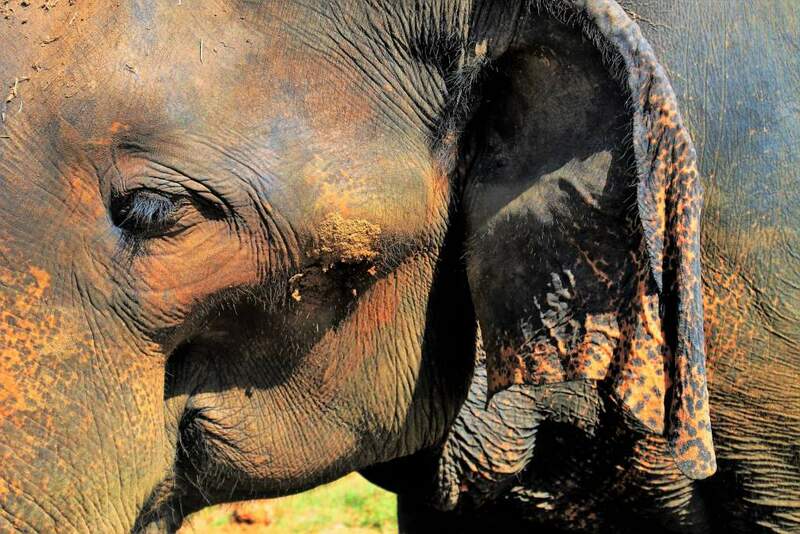 A safe haven and rehabilitation centre for over 20 elephants rescued from abusive and deprived conditions in captivity, as working or performing animals. For 2-hours we will experience an opportunity of a lifetime; meeting and interacting with rescued elephants and, to learn more about the Earth’s most gorgeous and largest land mammal. Experience the sublimity of the Taj Mahal at sunrise offering a varying kaleidoscope of solitude, colour and mood, it is simply stunning! 22 years in the making (1631-1653) and a visual experience that defies description. The legendary Taj was a tribute from the great emperor to the memory of his beloved wife, it has been widely regarded as the earthly replica of paradise, the Taj Mahal is likened to “a vision, a dream, a poem and a wonder”. From here we return to the hotel for breakfast, and the rest of the morning is for your leisure. Later in the afternoon or evening we will visit the Sheroes Hangout café. 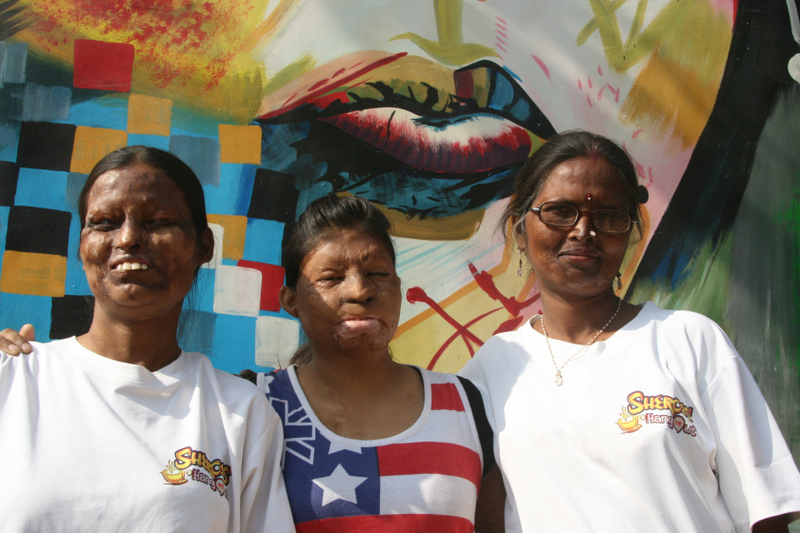 The ‘STOP’ acid attacks campaign was flagged on 8th March 2018 to stand for acid attack survivors and against acid attacks in India. The concept of this café is to act as a bridge between the survivors and society over a cup of your favourite beverage offered. 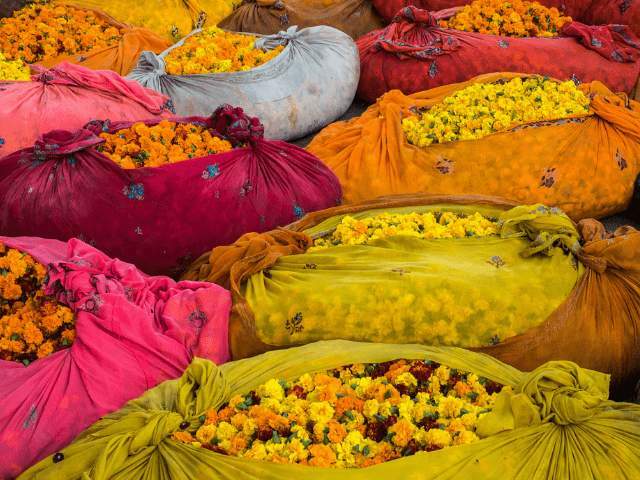 After breakfast we set on our perfume jaunt visiting the perfume capital of India – Kannauj and a perfumery or two. Later at the perfumery we will learn the traditional art of developing essential oils with an introduction to the oldest system used for the process, Deg-Bhapka. In fact Kannauj is only place to follow this system in todays world. After experiencing this process we will visit the perfume store to enjoy tea with a perfumer who will take us through the different scents, with the option to buy fragrances of choice. YESSS to this and these divine aromatics will be used to create your signature perfume! The history of natural attars in India is rich and very much associated to the history of Kannauj. Kannauj has been known for natural attars from the Mughal period, perhaps even earlier when aroma bearing substances like Sandalwood, Musk, Camphor and Saffron were used. The range of these divine natural ingredients and essential oils were further enriched during the Mughal period, when new plants were introduced by the Mughals from Central Asia to this country. 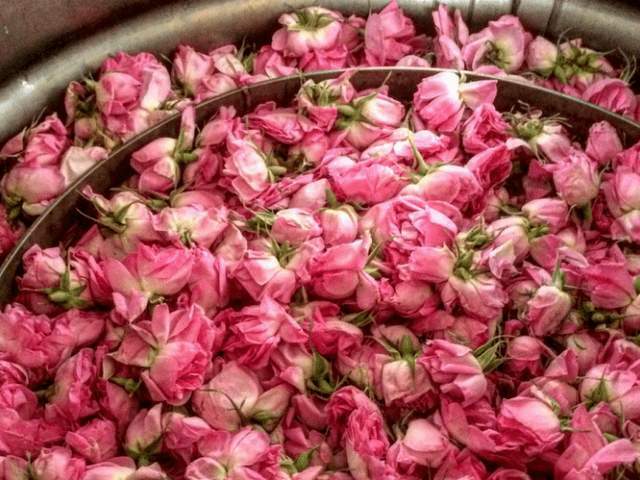 This led to the discovery and development of the process for the preparation of attars from Roses by Noorjahan, the Mughal Queen. It was the beginning of the natural attars of India, which developed and progressed in, and around Kannauj and this is still quite prominent today. Floral Attars may be defined as the distillates obtained by the hydro distillation of flowers in Sandalwood. Then and now Kannauj is the place to obtain fine scents such as jasmine (mogra) oil, rose waters and my one of my ever best grounding botanical friends vetiver, such exotic and divine aromatics! Exactly when attar-making began there, no one is certain; archaeologists have unearthed clay distillation pots dating back thousands of years to the ancient Harappan civilization of the Indus Valley. However today, Kannauj is a hub of a historic perfumery that draws many to this town in the same pursuit. 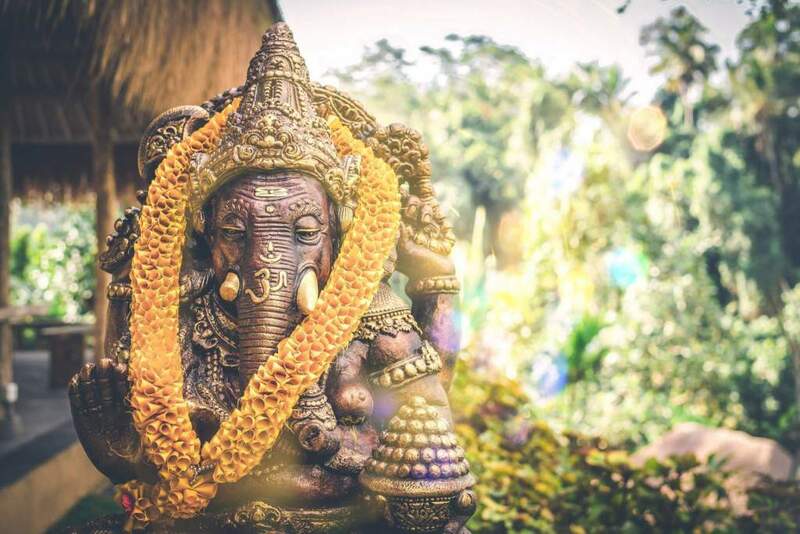 Most of the villagers there are connected to fragrance in one way or another – from craftsmen who steam petals over wood fires in huge copper pots, to mothers who craft incense sticks. After this most pleasurable aromatic experience we will continue on to Lucknow. During early evening, we will visit one of the shrines in a mosque in Lucknow where we will have the opportunity to enjoy a Sufi experience. We will immerse ourselves in beautiful soulful Sufi music by devotional singers known as Qawals. Even without the translation of your guide, the music alone will fill your very essence of being. A bit later this evening, we will have the pleasure of meeting the last remaining member of the Royal Family of Avadh. The Nawab himself speaks to us about the lavish history of traditional perfumes and Lucknow’s royal history. This is followed by a traditional Lakhnavi dinner at the hotel itself! After a relaxed breakfast at the hotel, we embark on a city tour of Lucknow. Visiting the flower market and enjoying some local sight-seeing. Together we lunch at a local restaurant. In the early afternoon, we set about on a Heritage Walk discovering the lanes and the bylanes of Chowk. Starting from Gol Darwaaza, ending at Akbari Gate. Gol Darwaze Wali Gali is one of the finest heritage walks that explains the culture, people and lifestyle of Lucknow. Later we visit the Self-Employed Women’s Association (SEWA), an autonomous organisation of chikan embroidery artisans. In 1984, 31 women came together to register a cooperative of women chikan kari artisans, under the 1860 Society’s Registration Act, and SEWA Lucknow was thus formed. Its major agenda was to do away with the middleman, with the organisation acting as a platform from which the artisans would address the market directly. We will be spending time at SEWA connecting and interacting with these beautiful women. In the evening we head to Kotwara House. This is not just another estate of an erstwhile royal family, it is a fine example of how there are still some royalties that are tied deeply to their roots. Muzaffar Ali and his wife Meera Ali are well known for their extraordinary involvement in the preservation of art and craft of Awadh. The history of Kotwara dates back to the year 1009, thus making it one of the oldest estates in Awadh. Muzaffar Ali is an acclaimed film maker, while his wife is known for her passion in reviving the traditional embroidery and crafts to contemporary and award winning designs. Apart from this, Meera’s published a book, ‘Dining with the Nawabs’, expressing her gratitude with the food from this region. Enjoy an evening at Kotwara House, dining on an exclusive and delicious menu which is specifically curated by Muzaffar and Meera Ali. If they are in residence, Muzaffar and Meera Ali will accompany us otherwise they remotely supervise this dining experience, opening their family home to us and their personal cooks, whose ancestors have served the royal family of Kotwara, prepare a delicious meal based on the exclusive menu of the day. 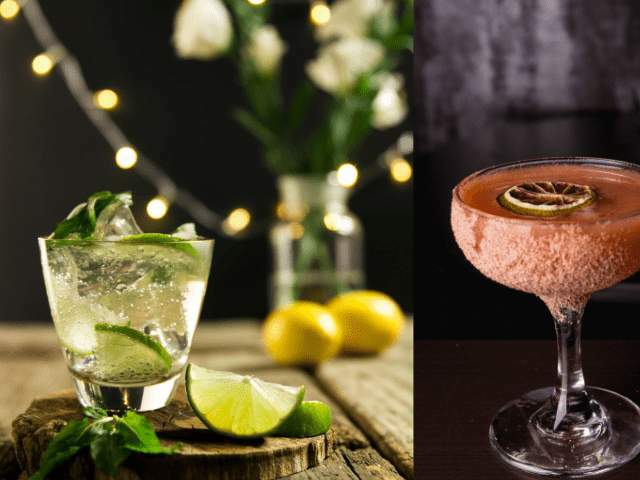 Cocktails will also be served. This will be followed by a perfume workshop with Julie Nelson, where you design and create your signature perfume! Today we fly to Jaipur to check in to a luxury hotel Samode Haveli. The first planned city of India – Jaipur is renowned for its beautiful architecture. Maharaja Sawai Jai Singh II – the ruler of Amber along with his chief architect, Vidhyadhar Bhattacharya from Bengal, founded Jaipur in 1727. 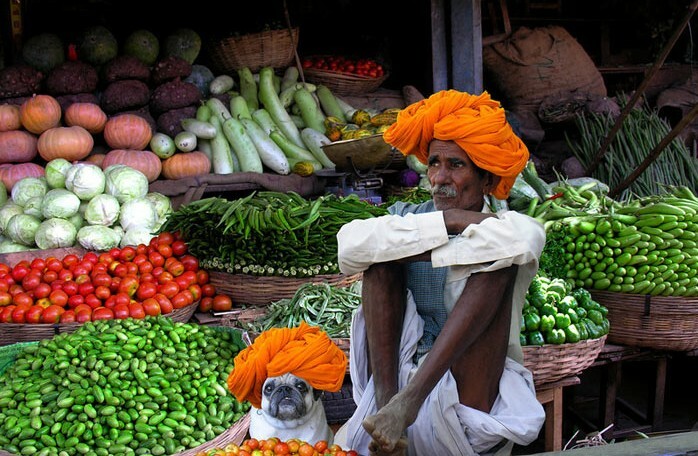 In the evening, we will enjoy a stroll through Jaipur’s traditional markets. Walking through the colourful fruit and vegetable markets and bustling alleyways of original Havelis, which is still inhabited by merchant families in the old part of the city. 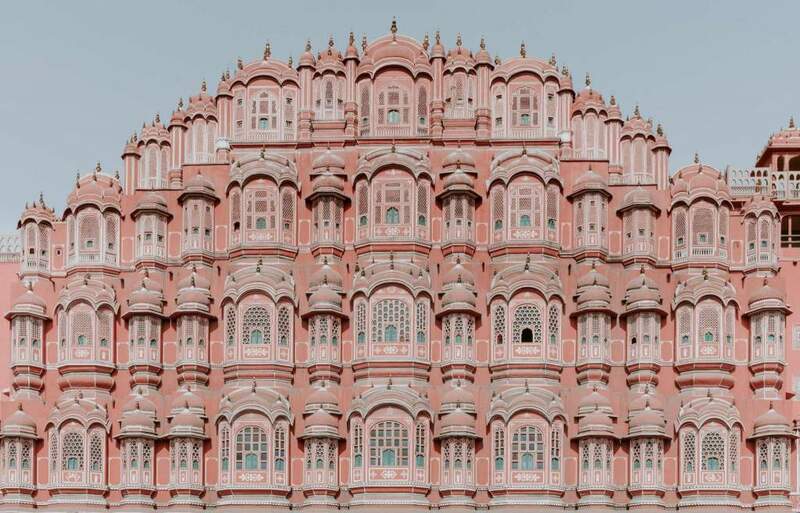 Today we visit Amber, the ancient capital that preceded Jaipur. Originally built in the 11th century AD and expanded in size and scope by succeeding dynasties and their rulers. Amber is a fortress town that is visually awe-inspiring. 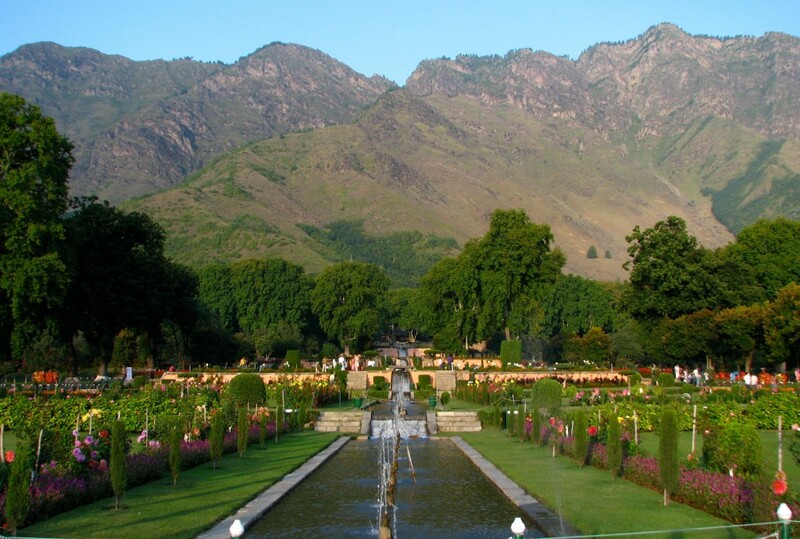 We are driven up to its magnificent hilltop location by jeeps to explore the maze of passage’s, corridors, pavilions, ornamental gardens and ramparts. Later we visit a textile showroom where we can learn all about traditional hand block printed textiles. For the more enthusiastic, we can create our own designer block print garments – choosing colours, patterns and style, with the guidance of a master printer who will be printing the fabric you design! Later the fabric will be tailored into a preferred garment and delivered to us at our hotel. Togther we will enjoy a light lunch at a local restaurant. Then we will visit the City Palace, home of the royal family, and its excellent private museums that display royal memorabilia, in particular art, books, costumes and textiles. 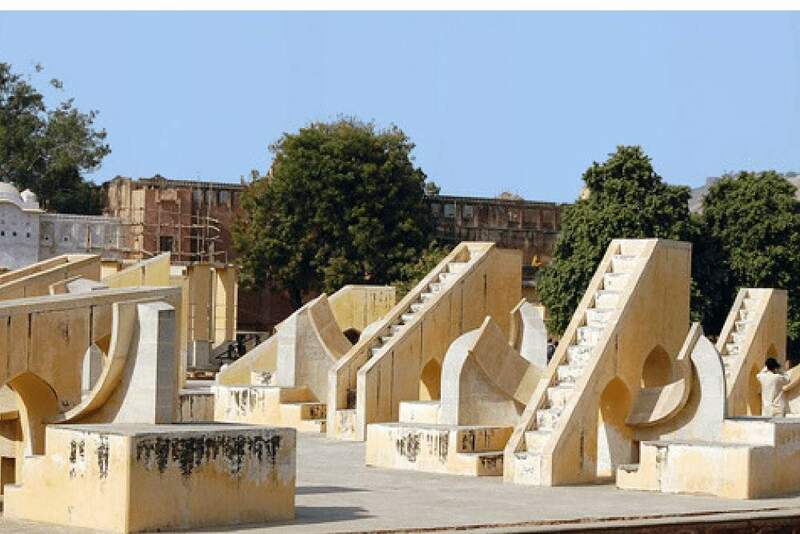 Then enjoy a stroll to the adjacent Jantar Mantar – Astronomical Observatory built in 1726 by the Maharaja of Jaipur. It is one of five such astronomical wonders built by Sawai Jai Singh that makes accurate predictions even to this day. Something I truly look forward to experiencing! Our evening is spent hands on participating in a cooking demonstration of typical Rajasthani cuisine at Dera Mandawa then followed by dinner. This experience is unique in as much that it covers ingredients and uncommon recipes of Rajasthan. The hosts belong to the Royal family of Mandawa. A Free day to relax and enjoy pampering yourself by immersing yourself in an Ayurvedic massage or delight in some shopping. Later we will be having a Bollywood dance class. It’s all about having a FUN in this 2-hour Bollywood dance class, taught at a local dance academy. Get your groove on as you learn the moves of three to four different Indian dance styles. This will certainly raise your vibration. Today we fly to Cochin. 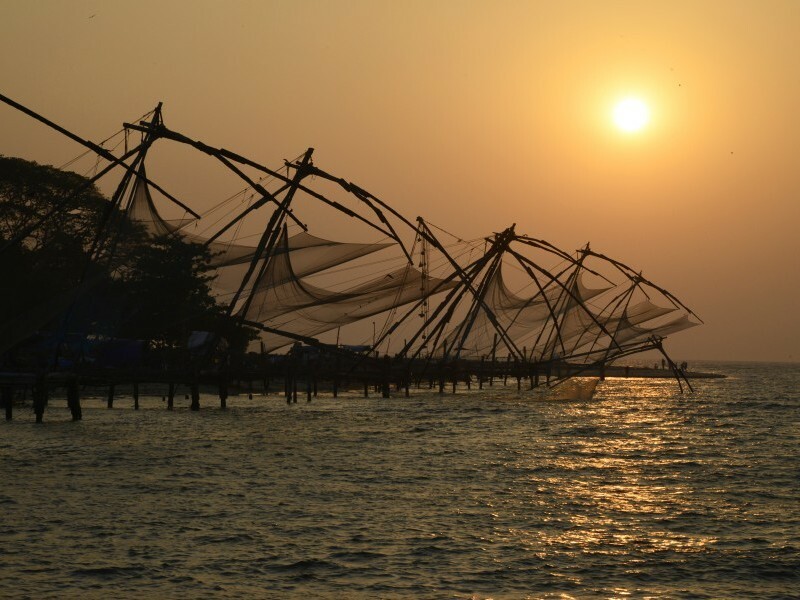 Kochi, a modern port city in the state of Kerala, south-west coast of India, is a potpourri of economic activity and history intertwined together. 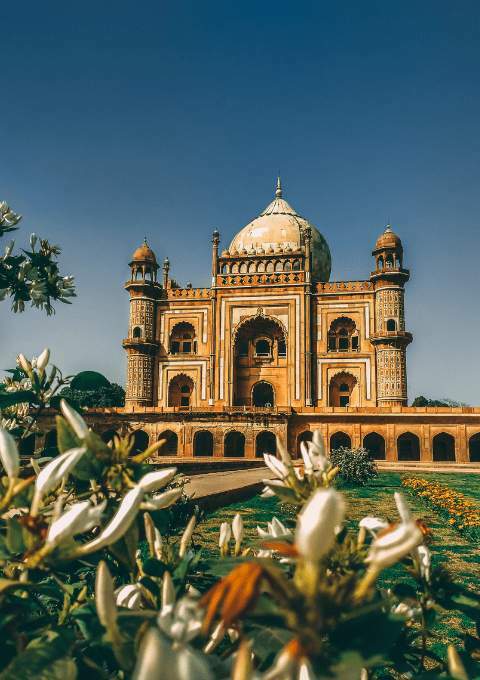 It has a rich trading past with Jewish, Portuguese, British and Dutch influences, which make it a rather unique mix of cultures and religions, reflecting one of the most fascinating facets of India: cultural plurality. During your stay here, you will have plenty of opportunities to explore the region’s diverse historical and cultural heritage. 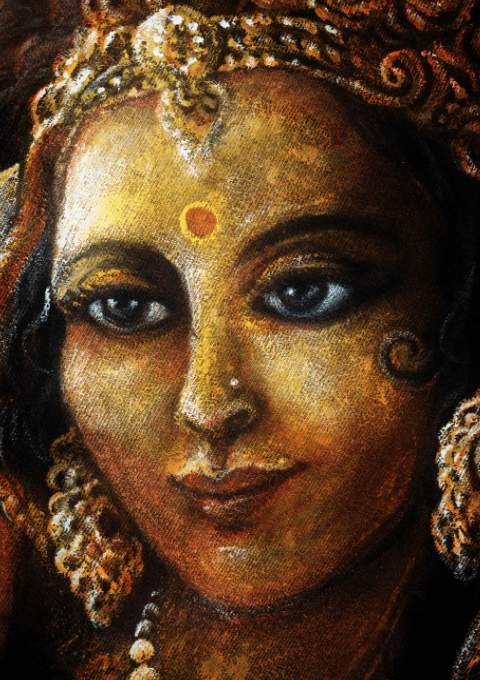 “The Queen of the Arabian Sea”. The sightseeing of Cochin will include the visit to Mattancherry Dutch Palace built by Portuguese, the famous Jew Street, and the beautiful Cochin Synagogue built in 1568 and St. Francis Church where Vasco Da Gama was buried and the ubiquitous Chinese fishing nets along the shores. 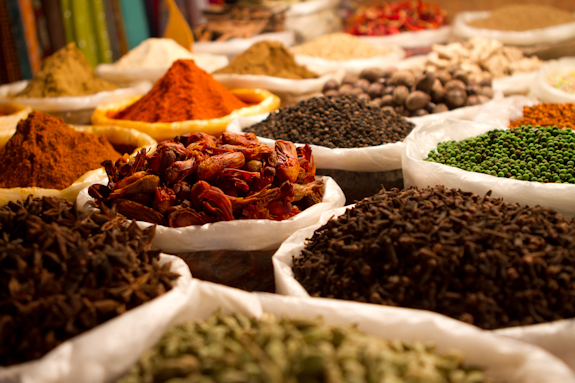 Then it’s time to indulge our senses with the exotic fragrances of the Spice Markets. Imagine the aroma of the finest ginger, cloves, cardamom, turmeric and pepper (also known as black gold), emanating from the spice warehouses lining the street and filling the air…..
As we amble through the markets stay close if you wish to learn about the essential oil properties of these divine spices as Julie will be sharing her knowledge on how they can support our mind, moods and emotions! In the evening, you will witness the spectacular Kathakali Dance Drama. 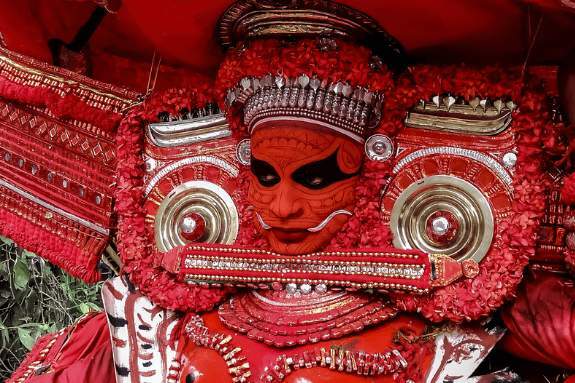 The most popular and sacred dance drama of Kerala, Kathakali has evolved over the last 400 years. This classical dance requires lengthy and rigorous training to attain complete control of the body and sensitivity to emotion so as to be able to render all its nuances through facial expressions and hand gestures. Themes centre round the two great Indian epics the Ramayana and the Mahabharata. It has been suggested that we arrive early to watch the artists applying their make up or, to witness the performance of Kalaripayattu, the sword fighting martial art of Kerala! Meals Included: Buffet Breakfast & Lunch. After a leisurely breakfast we set out for Munnar. Set on the seaward slope of the Western Ghats, Munnar is the centre of Kerala’s tea industry. A quiet place where the land is blanketed by lush tea plantations and remnants of rainforest. This evening, we will attend a Tea tasting session conducted by the chef followed by delectable High Tea. Following we will go on a walk to the Dolmens from where one can view the sunset…. This morning, we will visit a tea plantation followed by a visit to a Tea factory where we can see the process of tea making. Then we visit the Tea Museum, where you will have an informative talk on the process of tea manufacturing. From here we return for lunch. Post lunch, we visit the Ervikulam National Park. The Park is 97 sq. km. in extent, situated along the crest of the Western Ghats. 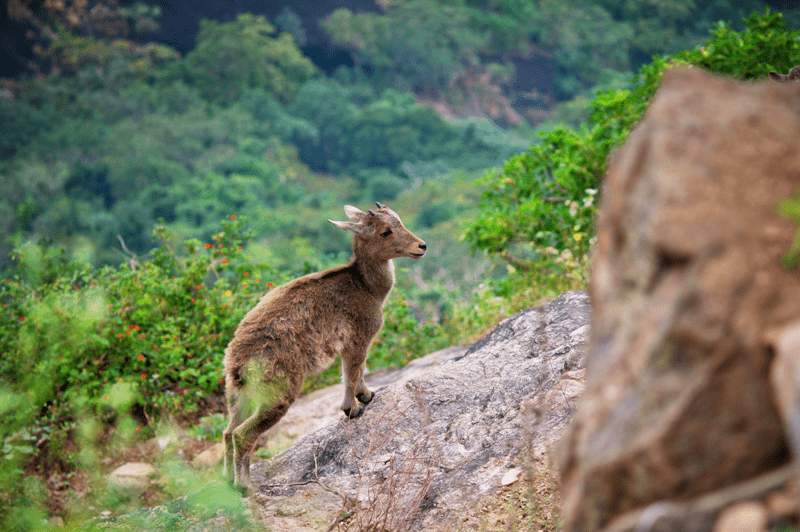 It holds the largest viable population of the endangered Nilgiri Tahr. Apart from Tahr, the Park is the abode of other little known fauna such as Ruddy Mongoose, small clawed Otter, and dusky striped squirrel etc. We depart early today to reach Kumarakom to relax during a Backwater day cruise including a delicious lunch while on board. We will meander through the Backwaters in a ‘kettuvallam’ boat. Kettuvallum means a sewn or stitched canoe. 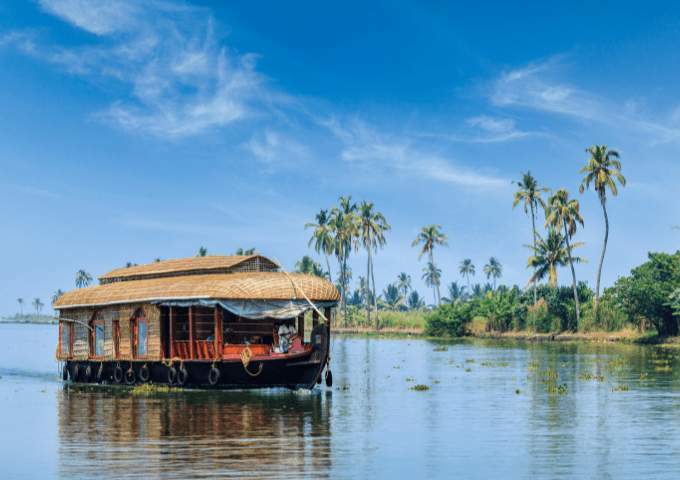 The traditional houseboat of Kerala is one of the most everlasting images of the backwaters – its natural, cocoon-like shape complementing the surrounding countryside. Preserving their historic character and style, craftsmen have created a unique atmosphere on board, a luxurious, self-contained world from which to behold rural Indian life flowing gently by. Enjoy lazing in a small country boat as it ambles through the tranquil network of water canals, dotted with busy hamlets, lush green paddy fields. Formed by the 40 odd rivers that flow down to the Arabian Sea from the Cardamom Hills, this network of canals, lakes and estuaries comprises one of India’s most enchanting areas. Enjoy today at your own leisure. 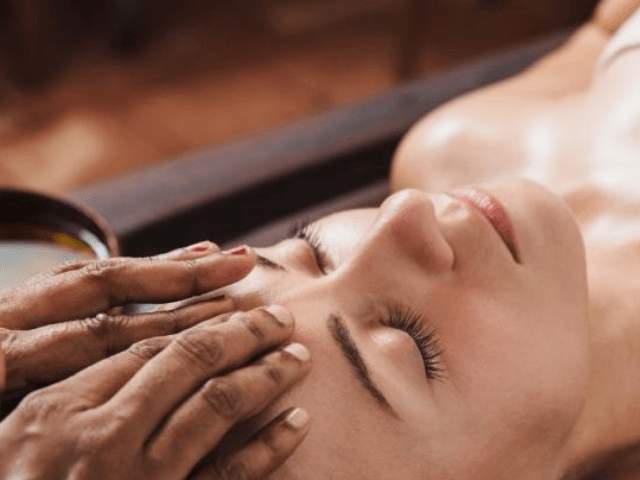 Your day can be spent relaxing at the resort or enjoying an Ayurvedic (herbal) message, for which Kerala is famous for. An enchanting backwater destination, Kumarakom offers visitors many other leisure options. An unbelievably beautiful paradise of mangrove forests, emerald green paddy fields and coconut groves interspersed with enchanting waterways and canals adorned with white lilies – this is Kumarakom. Later, check out and transfer to Cochin airport to board your return flight home. Meals as per itinerary (includes daily breakfast, 10 lunches, and 6 dinners). Welcome dinner in Delhi with house wines and beers and cocktails (house wines and beers with dinner). Transportation by AC Mini Coaches for 8-9 persons and AC Large Coaches beyond that. Domestic Mineral water brands (Himalayan, Kinley or similar) will be provided in the vehicles during transfers and sightseeing. Services of local English speaking guides at each destination as per itinerary. Porterage fees at the hotels/airports only. Entrance fees (single entry) to the monuments as per the itinerary. All tipping throughout the tour. Liability for change in itinerary due to reasons beyond our control like change in flight and train schedule; cancellation of flights, political disturbances, natural phenomenon.